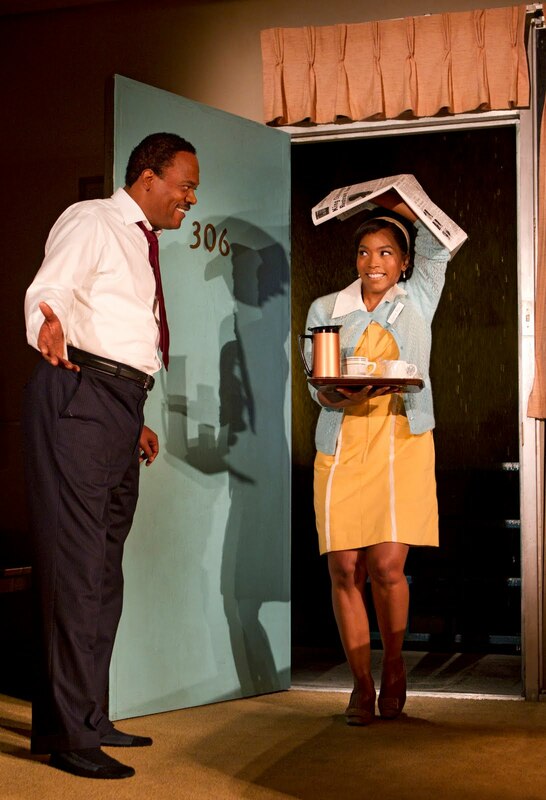 Samuel L. Jackson and Angela Bassett give tremendous performances as, respectively, Dr. Martin Luther King and a garrulous maid in this audacious and ultimately moving play about King's last night in Memphis' Lorraine Motel in 1968 where he would meet his death on the balcony the next day. When the play opens, King – exhausted after delivering his "I've been to the Mountaintop" speech -- is sending his (off-stage) associate, the Rev. Ralph Abernathy, off to buy him a pack of cigarettes. Left alone, King frets that the room might be bugged, misses the toothbrush that wife Coretta forgot to pack for him, relieves himself audibly in the bathroom, and takes note of his smelly feet as he removes his shoes, all the while mulling the approach of his next big speech. In short, we're seeing the human side of this now mythic figure. When he wearily calls down to room service for a cup of coffee, Camae, an alternately feisty and flirtatious maid on the first day of her job, arrives. She’s a plain-spoken, lower-class woman but she certainly recognizes King, who, before long, begs her for a cigarette, and is asking her advice about matters large and small, including whether he should shave his mustache for image reasons. Camae indignantly replies that it's the sort of question he should more properly be asking his wife. Afterwards, she brags that her oratorical skills, and she chastises him for presuming she might not know what that word means. She boldly asks if she's as good as he is. He tells her she speaks nonsense; she counters that it’s poetry. Bassett really shows her comic chops throughout, but reveals impressive gravitas when the script calls for it. There’s a major twist in all this – thus, that audacity I mentioned earlier – but I shan’t spoil playwright Katori Hall‘s neat construction by giving it away here. The play originated in London and won last year’s Olivier Award for Best New Play. Jackson looks rather less like King than Jesse Jackson, but he convincingly embodies King’s public persona and his personal demons. It’s a joy to watch these two play together. They’ve got wonderful chemistry, and should be well remembered at award time next year. Bassett has the showier part, and she really is tremendous, but Jackson’s world-weary King is every bit as skillful, bringing just the right gravitas to the role. Director Kenny Leon keeps the pace taut, deftly keeping up with the play’s tonal shifts, and making sure both stars are on an equal playing field, without one overshadowing the other. Indeed, Hall’s feminist perspective does sometimes seems to favor Camae, but in fact, the parts seem evenly distributed. 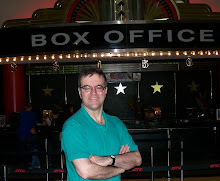 At my preview performance, the audience was thoroughly rapt throughout the plays 85 intermission-less, even when the play ventures into more spiritual realms, and the enthusiastic standing ovation at the end was the real deal.